When World War II ended in 1945, Japan lost control of Korea to Allied forces. In much the same way that Germany was split after the war, Korea was divided at the 38th parallel, with the Soviet Union administering the northern half and the United States administering the southern half. The foreign administration of North and South Korea was intended to be temporary, and plans had been laid for free elections in the two districts. However, in 1948, Kim Il-sung, communist-aligned leader of the Korean People’s Army (KPA), convinced Soviet leaders not to allow UN (United Nations) authorities north of the dividing line. So the election never took place in North Korea. The Republic of Korea was established in the south, led by the democratically elected President Syngman Rhee. The Democratic People’s Republic of Korea was declared in the north, with Kim Il-sung established as Premier (with support of the USSR). Most US forces had left South Korea by the summer of 1949, leaving behind a weak government and inexperienced army. North Korea, on the other hand, had the financial and military backing of the USSR and China and had built up a strong army. The Korean Armistice Agreement re-established the line of division at the 38th parallel, with a demilitarized zone extending two kilometers in both directions. After the war, Kim Il-sung set out to purge North Korea of his enemies, both real and imagined. By 1961, the last vestiges of opposition to Kim had disappeared. The organizational structure of North Korea was modeled after that of Stalinist Russia, with a large focus on military build-up and heavy industry, especially mining. Kim stuck with his Stalinist philosophy even as his communist neighbors evolved their governments, first in 1956, when Soviet leader Nikita Khruschev made sweeping denouncements of Stalin, followed 10 years later by Mao Zedong’s Cultural Revolution in China. In the 1970s, North Korean mining production had reached its peak. Sudden rises in the price of foreign oil combined with falling prices for North Korea’s native minerals hit the economy hard. Surrounding nations began building up economies based on computers and other technology, a shift that North Korea — so focused on mining and military might — was unable to keep up with. Kim made the tough decision to take on foreign debt to keep the economy afloat. Throughout the 1970s and 1980s, relations between North and South Korea, as well as between North Korea and the rest of the world, were a veritable roller coaster. Discussions about reunifying split families, co-hosting the 1988 Seoul Olympics, and economic cooperation started, stalled, restarted, and failed. International tensions mounted, too, as North Korea announced its growing nuclear program, which included experiments in uranium enrichment, a first step in the creation of nuclear weapons. Both North Korea and South Korea officially joined the United Nations in September 1991. The 1990s were characterized by unkept promises from North Korea to shut down or freeze various parts of its nuclear program and to allow international inspectors to examine their nuclear capabilities in exchange for oil and aid. Using their nuclear program to elicit international aid would become a common theme in the decades to come. Kim Il-sung died of a sudden heart attack on July 8, 1994. Although the means of succession had not been strictly set down, Kim’s son, Kim Jong-il, succeeded his father by becoming the chairman of the most powerful state institution in the country, The National Defense Commission. Kim Jong-il adopted an ideology known as Songgun — “Army First” — which transformed the country from a traditional communist government to a military dictatorship. North Korea’s nuclear ambitions were overshadowed by famine in the late 1990s after the country suffered first through horrific flooding and then through drought. Because of famine, a failing economy, and a disintegrating infrastructure, North Korea now relies on international aid to keep its citizens fed. In 2005, North Korea announced that it had completed its first underground nuclear test, and its ongoing nuclear program continues to be a point of contention in the international community. Outcry over unconfirmed violations of human rights by the North Korean government has also stymied international acceptance. 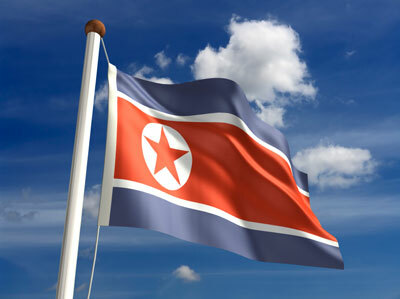 Kim Jong-il died on December 17, 2011, and his son, Kim Jong-un, took power. How this new, young leader will guide his country and interact on the international stage remains to be seen.